eMove is Australia's premier one-stop-shop to help people move home. 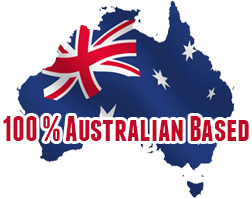 We are 100% Australian-owned and have been helping thousands of people move home over the last 10 years. We offer a range of key moving services that make the moving process easier, save you money and put you in touch with reliable, professional removalists and other service providers. Services include quotes for local removals, interstate removals, Moving Insurance, gas and electricity transfers (with great discounts) and much more. For any move - especially interstate removals - you should never use a removalist you don't know. Picking the wrong removalist will often result in damage to your goods and huge expense. With over ten years in the Moving industry, we know who the good removalists are - and we help you avoid the bad ones. And - we get you a good price. This is especially important for interstate moves, where your goods are being transported over long distances. Reliability is vital. We handpick only those experienced removalists who run professional, reliable businesses - with great focus on customer service. We can protect you - and make the whole moving process easier. So, for a good quality local or interstate removalist at a great price, simply fill out the form to your right and we can get to work finding you removalist quotes straightaway. NOTE : if you only have one item, a few items or a very small move, eMove is not for you. We specialize in medium to larger size moves - minimum 2 bedroom house or apartment. Experience a smooth and hassle free move with eMove. Our FREE moving checklist provides you with invaluable tips to help you throughout the entire moving process - with great advice on what to do and when. We do the organising for you - it's the easy way to have your gas and electricity, phone, internet or even Pay TV connected. We offer convenience - taking the labour, time and stress out of moving - providing a FREE 'all-in-one service' you can rely on. Plus we're the only genuine one-stop-shop 'moving home' service in Australia!